Historic house museums are some of the best museums out there and some of my favorite places to visit. When you visit a historic house museums a lot of times you get to step back in time and really see what life was like during a certain time period. They are great for that transportation that I love in a museum. Illinois has some amazing house museums!! When I say historic house museum you might be thinking that they're all stuffy houses from that turn of the century time period. 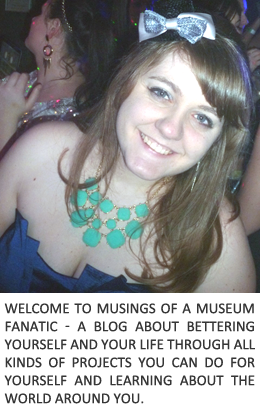 When it comes to house museums there are so many different kinds. From those 19th century Victorian beauties to modern homes that you would think are out of a space novel. Here's my must visit list for Illinois house museums. 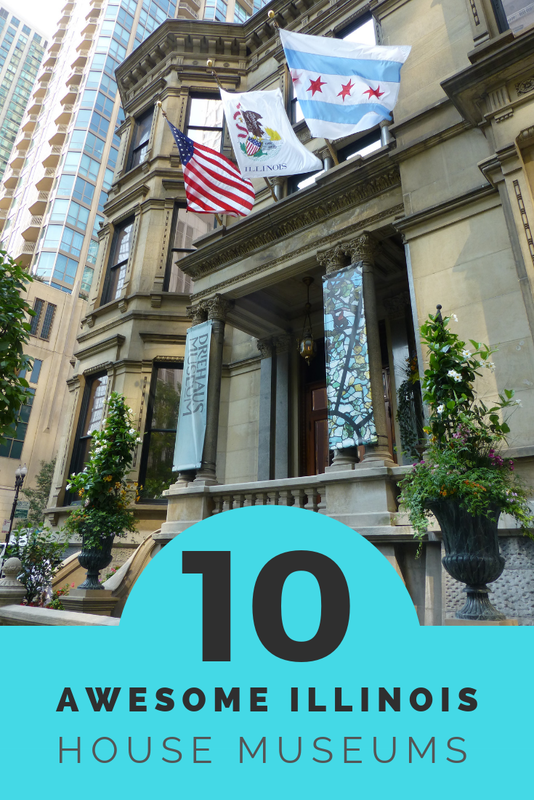 The Glessner House is one of Chicago's big daddy house museums.. If you're looking for a gorgeous example of how a house museum should be with fun events like a haunted tour later this month then look no further. This architectural gem is not to miss. If you're still jonesing for more beautiful historic homes the Clarke House Museum is just around the corner. You'll find this Mies van der Rohe beauty about an hour outside of Chicago tucked along the Fox River. While it might stick out like a sore thumb at first you'll soon learn all about the International Style and it's relationship to it's surroundings. I will admit Driehaus might be one of my favorite house museums to visit. It's actually called the Nickerson Mansion. The interior is exquisite, I mean come it wasn't referred to as the "Marble Palace" for nothing! It's a must add to any Chicago trip. Who know that barbed wire could be so interesting and profitable?? You'll learn all about Isaac Ellwood, his family and his business legacy. One tip I'll share is to make sure to visit around the holidays so you can take a tour when the house is all dolled up for the season. Don't believe me check out their Instagram photos from this past winter, so beautiful. You had to know I couldn't make a list of best Illinois house museums without putting in the Lincoln Home right? I first visited the home while on a grad school trip. It's amazing to think of the life Lincoln led while living here in Springfield before heading to Washington. If you could only visit one house museum because of it's importance to Illinois history this might have to be the one I would suggest. James was a business from Decatur who would later go on to found Millikin University. This amazing Italianate house was built for him in 1876. I would highly recommend visiting during the Christmas season, seeing it all decked out I can only imagine what it looks like in person! Southern Illinois tends to be forgotten when it comes to visiting Illinois but there is so much to see and do in the southern part of the state! You can find beautiful hidden gems like the Magnolia Manor. This 14 room brick mansion was originally the home of Cairo milling merchant, Charles A. Galigher. This is another wonderful historic home that I got the chance to see during grad school. This house contains the largest site specific and original Wright designed furniture. If I remember correctly it's something like at least 80% of the house in the original furniture and glass Wright designed. This is definitely a must visit for any Wright or architecture lover. Illinois was the birth home to many an impressive personage. We can even claim to be the home of three presidents, one of which was Ronald Reagan. You'll find his boyhood home in Dixon, IL. This is just one of several homes he lived in during his childhood in Dixon but you'll find all sorts of information about his early years. Not sure you'll be able to visit? They've got you covered with a virtual tour! When you visit Galena there is so much that can grab your attention! For a different view of Illinois history you'll want to visit the Dowling House. This former trade post hosted many fur traders throughout the years. Take a break from the mansions and enjoy learning about what trade was like in this mining town. 34 Christmas Movies to Binge Watch Right NOW!